Memphis City is located in Shelby County Tennessee. It has a large population of 652.717. Although it has a great cultural and musical history, Memphis, like the rest of Tennessee, is grappling with an opioid overdose problem. From 2011 to 2015, more than 6000 people suffered overdose deaths in Tennessee. In 2015 in Shelby County, the number of deaths by drug poisoning was a reported 484 for every 100,000 people. The abuse of drugs such as marijuana, meth and heroin are common in Tennessee but what’s getting law enforcers and medical personnel extremely worried is the growing use of fentanyl, a particularly potent synthetic opioid which is also being linked to overdoses. However in Memphis, the main cause of the overdose fatalities is prescription opioids. Heroin overdose deaths are also climbing. Memphis is said to have more overdose deaths than many cities in the state of Tennessee. According to Tennessee’s Department of Mental Health and Substance Abuse Services, 55 percent of painkiller abusers get the pills from family or friends who’ve been issued prescriptions by doctors. About 16 percent have prescriptions of their own. To exacerbate the situation, ordinary people and drug dealers have found an easy way to access more and more pills. They simply visit several doctors at a time till they have enough prescriptions to enable them to get an excess of pills from pharmacies. Once obtained, these pills often end up on the black market where they are sold expensively. And rather than buy these expensive pills, abusers prefer to turn to heroin which although illegal and unregulated, is a lot cheaper to buy. The health risks for buyers are considerable. A 2017 report by the State Department of Mental Health in Tennessee revealed that although fewer prescriptions were being written out, heroin and pill problems were still rising. This could be due to drug trafficking. 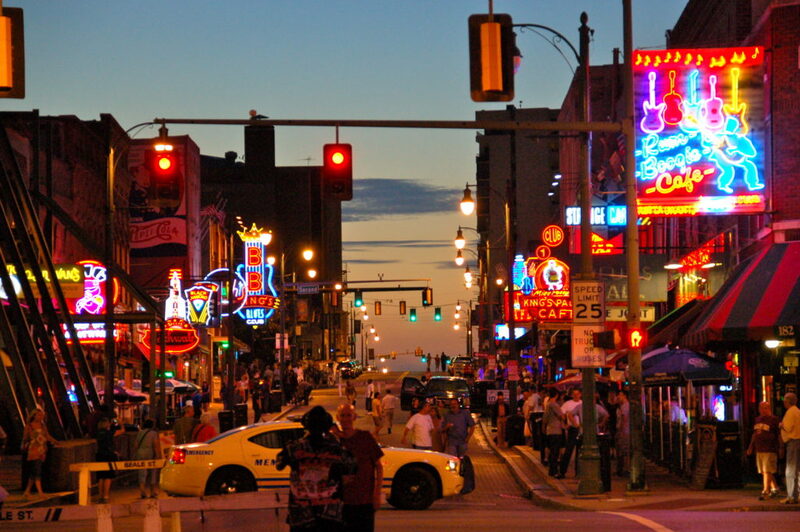 Crimes related to drug –trafficking are commonplace in Memphis and they are varied. They keep the police busy. In May 2017, twenty-five people were prosecuted following a drug bust which revealed the illegal sale by criminal groups of drugs such as Oxycyodone pills, heroin, cocaine, fentanyl, and marijuana. Law enforcers are always at the ready to curb drug abuses. Since 2010, Memphis police have been able to use software to monitor certain troubled areas for drugs and other crime-related activities. Consequently, the crime rate has dipped by 30 percent. In 2016, to help curb deaths by overdosing, Tennessee’s General Assembly gave drugstores the right to avail Naloxone to any potential opioid overdose victim. This drug may prolong a victim’s life until they can get formal medical help. The most cost-effective way for any county or city to try to manage its drug problem however, is through encouraging treatment. Memphis has some highly reputable treatment centers that can give timely help to anyone in Memphis who’s suffering from alcohol or drug abuse and needs help. Memphis has around 23 drug and alcohol centers that deal with a range of issues and special situations and that offer an integrated approach. After all, addiction is an all-pervasive problem that touches every part of life. You need to visit their premises or call them to find out how they can help you if you live in Memphis or its environs. Substance abuse is a severe disease that changes your body, your mind and your behavior. So the best kind of treatment – usually an integrated approach – will reverse all these negative effects and restore your life to normality. But the journey to recovery is difficult and ponderous. There are no short-cuts or quick fixes. However, when done the right way, it’s a transformative experience which will enable you to grow in all areas of your life. But be warned – the recovery process doesn’t stop at any time. Even after you complete your treatment, you still have to work hard and steadfastly at your sobriety. This will go on for the rest of your life. Below are details of these procedures and answers to some questions you may be asking. Assessments differ from center to center but they have some common features. What is the purpose of the assessment process? Basically, the intention is to establish where you’re at with your addiction. It’s important for treatment planners to know what substance you’ve been using, and for how long, and whether you’ve been mixing it with other substances. You’ll probably fill in a form giving details about your medical, family and drug history. The idea is to draw up a treatment plan that’s customized to your needs. Will I have to do any tests? Many centers ask you to submit to a breathalyzer, and also to urine and drug vetting tests. The tests help to decide your form of treatment and to determine whether you should attend detox first or go straight to rehab treatment. For example, if you test positive for recent drug use, your first stop will be detox but if you test negative, you may go into treatment without detox. Mental health vetting is more likely at centers that offer dual diagnosis therapy. The aim of this testing is to establish whether you have any emotional or psychological problems that could affect your condition or your treatment plan. However, it’s not every center in Memphis that requires this type of screening. Drug and alcohol addiction are diseases and like all diseases, the physical symptoms need to be treated. Successful treatment involves detox. It may not be deemed necessary for mild forms of drug addiction but is normally necessary for all forms of alcohol abuse and for heavy and sustained drug use. Its purpose is to safely and completely remove any traces of the abused substance from your body and help ease you through the withdrawal symptoms that are an inevitable result of the process. The withdrawal symptoms can be nasty. They may include depression, sweating, hallucinations, and seizures. However, detox basically deals with the bodily effects of the addiction. Before treatment proper can begin, the body has to be completely free of toxic elements. The detox process also reduces the impact of the side effects with the possible use of meds. The process can take 2 to 5 days for substances such as cocaine, meth and speed. Alcohol detox can take 5 to 10 days while opiate detox typically lasts 6 to 14 days but may go on for longer. Opiate detox normally treats heroin and prescription drug addiction. Will I have to take meds? A 2014 investigation into the operations of treatment centers found that meds were administered in about 80 percent of all detoxes. Alcohol detox is said to be difficult to achieve without meds such as benzodiazepines. They are often used for opiate detox too. Some medications are said to limit cravings by imitating the effects of the abused substance, or by blocking the positive feelings it gives rise to. But there are centers that do not use meds at all. The meds may not be suitable for older adults. In fact, a report by the Substance Abuse and Mental Health Services Administration (SAMHSA) revealed that while benzodiazepines may be useful for other age groups during detox, when they are administered in high doses to seniors, they may cause mental and toxic problems. Can’t I just do detox and be done? Some treatment centers report that most enquiries they receive are for detox only. Many people are not interested in going further into treatment. However, addiction is a severe disease. You can’t just cleanse your system of the abused substance and be well again. After detox you need follow up-treatment to deal with the reasons behind your addiction and to ensure that you remain sober in the future. Studies have shown that patients who stop treatment after detox usually go back to their drug use. This process occurs after detox and is intended to ensure you remain drug free in the foreseeable future. It involves inpatient or outpatient care which should be followed by ongoing aftercare or support. What treatment methods are used in rehab? Therapy to assist you in identifying, keeping away from and coping with settings and circumstances in which you may be vulnerable to drug use. Regular drug and alcohol testing to ensure you remain clean and committed to recovery. Provision for ongoing support after you leave rehab. Why bother with inpatient care? Inpatient or residential care has been known to be extremely effective for those with chronic or long-standing addiction, or with concurrent conditions that influence their addiction. However, some centers turn away people with serious medical disorders that may lead to self-harm or injury to others. The licensed inpatient centers offer all day and night care which is intensive and well-structured and run by trained and suitably qualified staff. Their aim is to lessen the possibility of relapse during a treatment stint by teaching such techniques as impulse control. Treatment includes medical care and meds. There may be vocational and legal services offered. On a lighter note, you’ll probably be able to go to the gym, and take nature walks. Some facilities are age-specific. That is, they may cater specifically to teens or the elderly. Still others are men only or women only facilities. A luxury residential facility is not a bad idea if you want peace and quiet and many more facilities to increase your peace of mind. How long must I stay in residential rehab? There are long and short term residential programs. The short-term programs can last about a month. They typically offer detox and then a short, intensive treatment period, followed perhaps by outpatient care. Studies show that outpatient therapy as well as involvement in self-help groups helps the patient to avoid relapse after completing the short-term inpatient program. As far as the long-term residential programs are concerned, your stay will be roughly between 6 and 12 months. You might be offered vocational services and legal advice to help you cope with life after rehab. The longer you stay in treatment, the better. Substance abuse treatment has to stop you using drugs and alcohol altogether, equip you with the skills to stay sober in the long-term, and enable you to once again be productive at home and work and within the community. This could take a while. A month may not be sufficient to acquire the skills needed to change your life. Will I be given meds in rehab? When meds are given in rehab, their purpose is to help ease the effects of your withdrawal symptoms. If you don’t get any relief from these symptoms, you might resort to your old habit to escape them. The meds also help to restore your brain to normality and reduce the cravings. And they may be given in the treatment of opioids such as prescription pills and heroin, and for alcohol abuse. Meds may also be used to treat any mental problems that are present alongside your addiction and are most likely making it worse. It has the same treatment emphasis as the inpatient option. There are different programs for different needs and they range from moderate to intensive. What are the different outpatient options? The basic type of outpatient care is the regular option. This is mainly for mild levels of addiction and attendance is for a few hours per week, and during times that don’t interfere with your work and family programs. Good times for attendance are evenings or weekends. You still get all the treatment you require. Then there’s the Intensive Outpatient Program (IOP) and the Partial Hospitalization Program (PHP). They both involve attendance for several hours per week with patients going home each night to sleep. They are a good fit for those with dual diagnosis. And people may transition to these phases from inpatient therapy. Once treatment has been completed, patients may move into regular outpatient care where they meet less regularly and for shorter periods. This helps to smoothen the transition to their normal lives. Why should I bother with aftercare? Recovery is a long and difficult process and you should congratulate yourself if you stayed the cause from assessment to rehab. However, it would be a mistake to think that there’s nothing further you need to do. That’s because recovery is never complete. It’s never over. You have to continue to be attentive and dedicated to it for the rest of your life to prevent yourself from descending into your old addictive ways. It’s not unusual to suddenly experience intense cravings for your old habit, even if you’ve been clean for months. But as long as you have ongoing recovery support you can keep these cravings at bay and continue to remain drug free. How do I prepare for my aftercare? Before leaving your treatment facility, you will likely draw up an aftercare scheme with your counselor. You may opt to have regular therapy sessions with a psychiatrist or counselors from a faith based organization, for instance. Or you could seek support from the AA (Alcoholics Anonymous) or the NA (Narcotics Anonymous), in your area. Additionally, many centers have alumni programs that allow them to stay in touch with their former patients and give them any necessary support as they progress through recovery. Contact is occasional and may include attendance at monthly meetings, functions, outings and other events. Who goes to a sober living home? Another aftercare option that’s proved attractive for many graduates of inpatient treatment is enrollment at a sober living establishment. There, they are able to interact with others of the same mind and continue to receive support. It’s another way that they can slowly transition back to their conventional life. The establishment is usually run by their peers who’ve been sober for a while. The residents engage in housekeeping and gardening tasks, and learn to manage their finances. They may also look for a job, go to interviews, and then start working the job if they get it. There’s ongoing interaction through group therapy and residents remain accountable to each other for their sobriety. They also get to establish links with support services within their communities.